Combine tuna, Light Mayonnaise and jalapeno in small bowl; set aside. 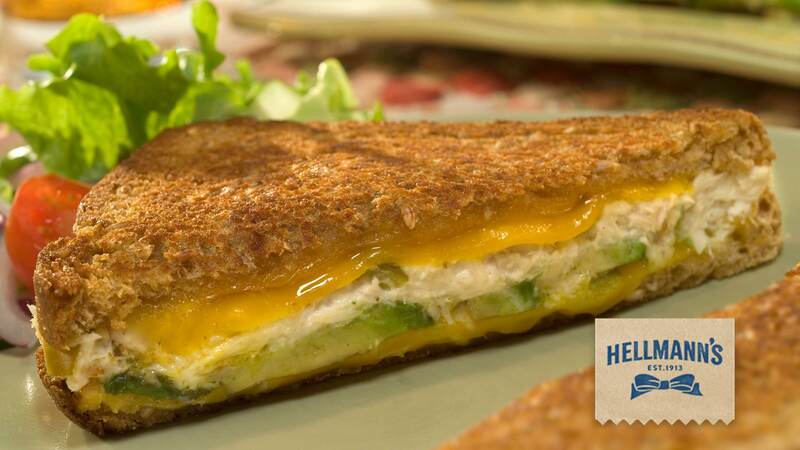 Evenly top two bread slices with 1/2 of the cheese, avocado and tuna mixture, then remaining cheese. Top with remaining bread slices. Evenly spread tops of sandwiches with 1 tablespoon Country Crock Spread. Cook sandwiches in 12-inch nonstick skillet over medium heat, Spread side down, 2 minutes or until golden. Evenly spread tops with remaining 1 tablespoon Spread, then turn. Cook an additional 2 minutes or until golden and cheese is melted.